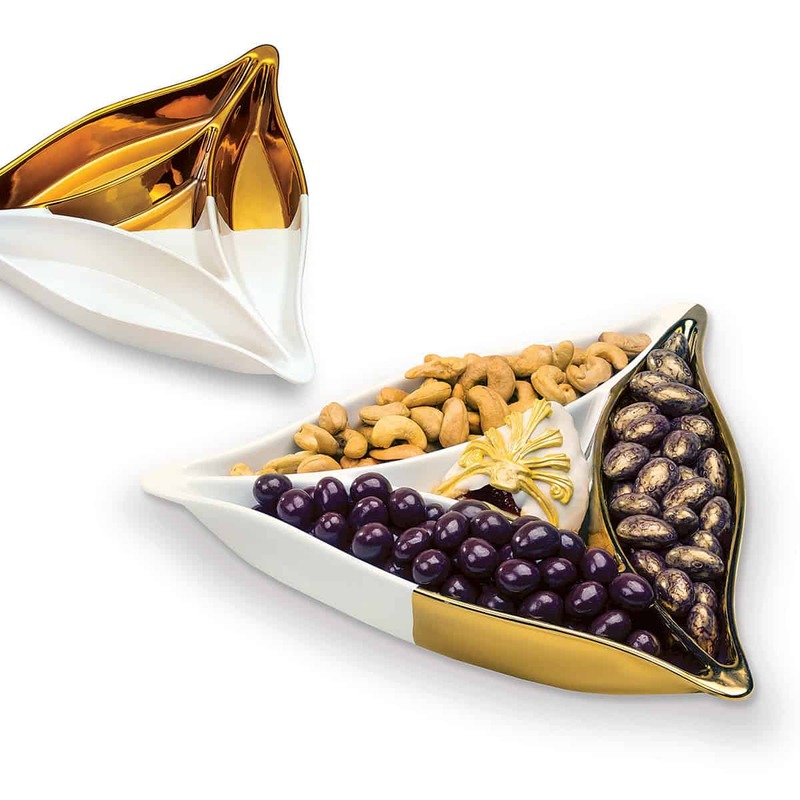 An elegant twist on a familiar favorite, this cream and gold ceramic candy dish is a hamentaschen in disguise! 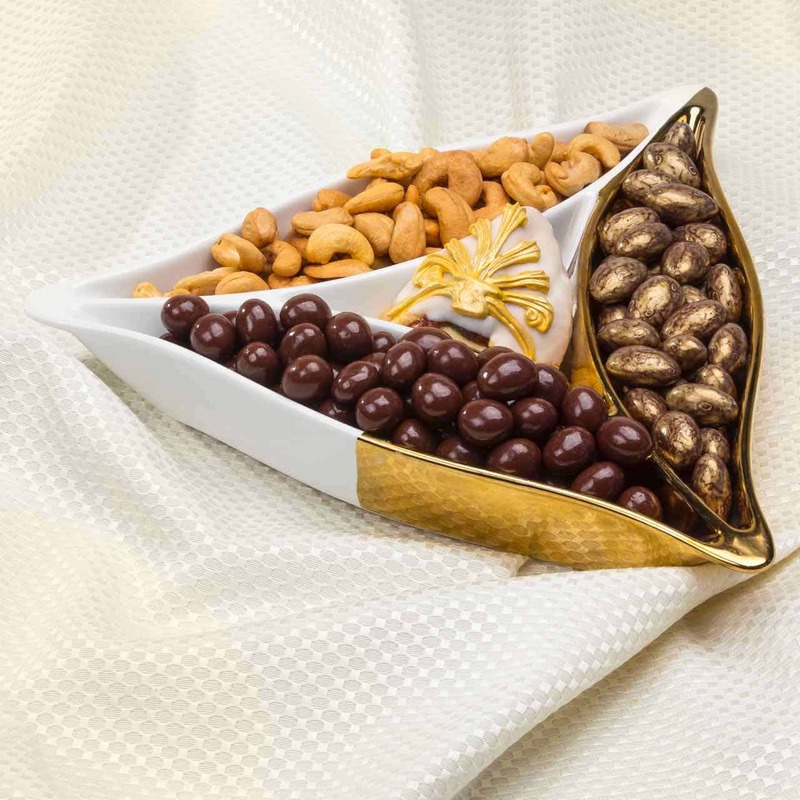 It arrives ready to serve with chocolate pretzel poppers, cashews, chocolate and gold-covered almonds, and a chocolate-dipped hamentaschen. 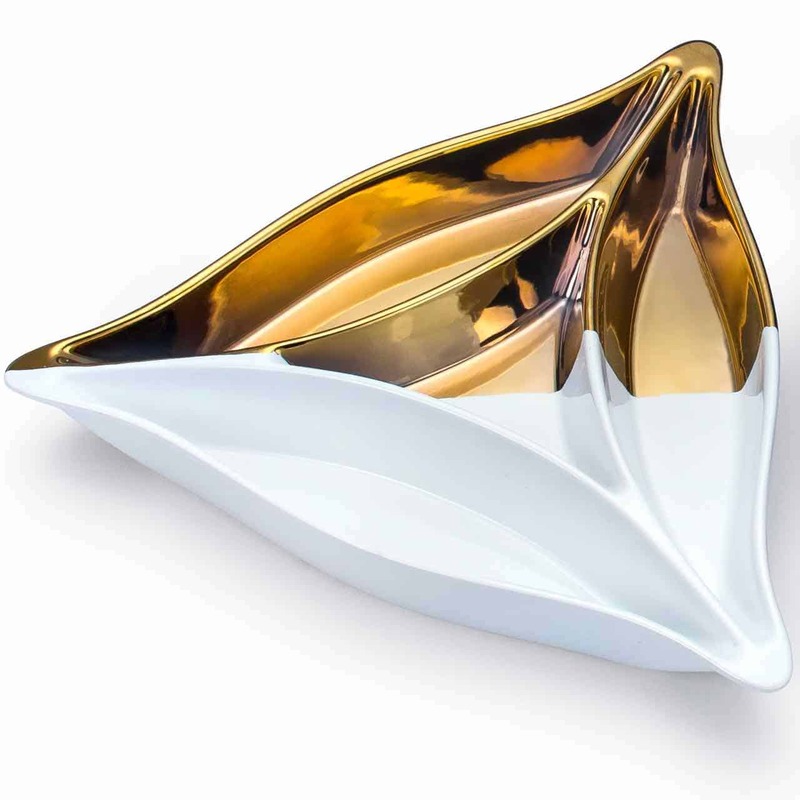 Cream and Gold Ceramic Hamentaschen-shaped Dish measures 11″x11″x2″. All gifts are shipped close to the holiday. All contents are individually wrapped for freshness.